It is so unfortunate that we do not have paintings or photographs of our ancestors when they were young. The above photograph of Sarah was very likely taken for a special occasion sometime around the marriage of my great-grandmother Elizabeth McDowell (1885). In her face, you can see the experience and hardship she went through in her life. And the strength of character. I admit to being enthralled by the history of Sarah’s family right from the start and found myself side-tracked several times just researching. 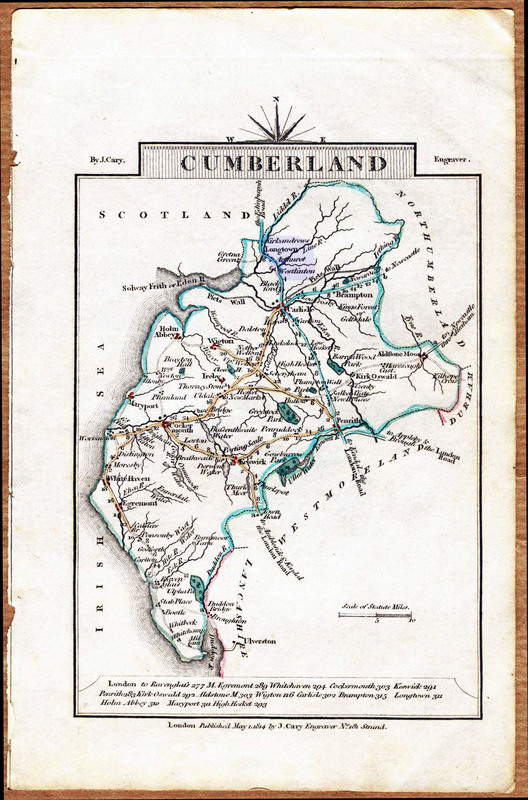 Below is a map of Cumberland, England c. 1814, showing Arthuret and the range of her family in blue. The story of Sarah Clark’s family is a very old and interesting one. 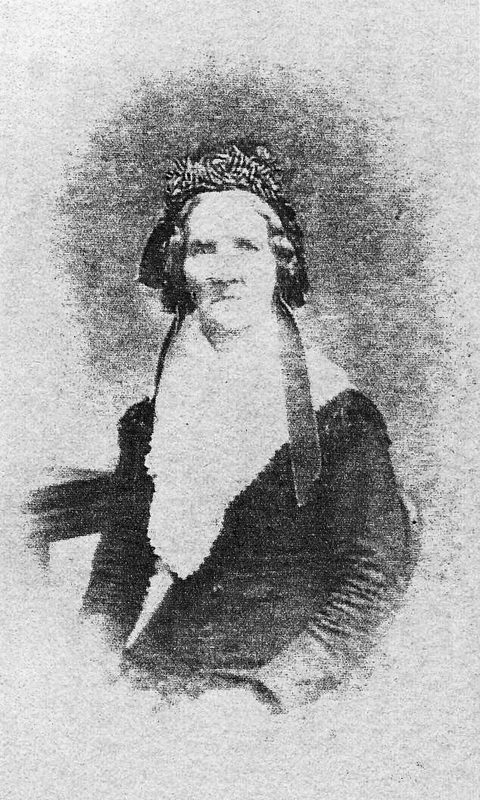 She was born along with her twin sister, Jane on March 25, 1821 at Great Randalinton, Arthuret, Cumberland. 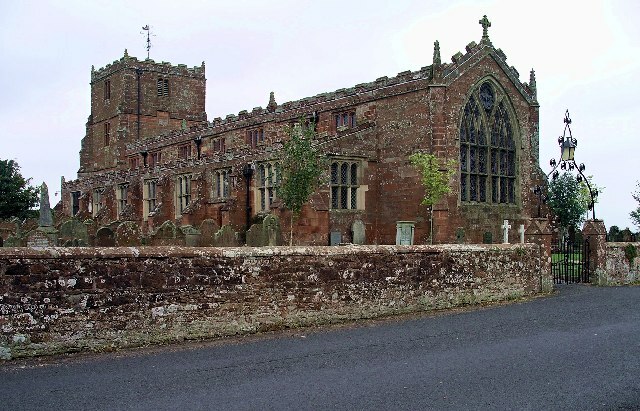 This area is just slightly south and east of Longtown and northeast of Carlisle (now called Cumbria). Her family consisted of a long series of marriages between the Graham and Clark families who were inhabitants of the border area of Scotland and England . At the time of Sarah’s birth, the family lived and worked on the Netherby estate owned by Lord Graham. A little further south, lay Hadrian’s Wall built during the Roman occupation. This area was at one time known as “the debatable lands” and was the scene of border raids by the Scots and English into each other’s territory. Among the most notorious of these “Reivers” were the Grahams from whom Sarah’s maternal line was descended, her mother being Jane Graham. When James I became King he brought the border lands under control and built the Scots Dyke to separate the two areas. And as time passed, the title “Duke of Montrose” was bestowed upon the Graham Clan in Scotland where it remains today. February 1. Royal warrant to the Attorney or Solicitor General for a great seal for a grant to Charles, Earl of Carlisle, Sir George Fletcher, bart., and Thomas Bendlows of all that manor of Arthurett and Randalinton, co. Cumberland, its courts, villes, granges, farms etc., parcel thereof and forfeited to the Crown by the treason of Sir Richard Grahme 1690, Dec. 29, and the capital messuage called Netherby Hall, with the demesne lands thereto, situate in the said manor and in the parish of Kirk Andrews; . . . The family of Henry Clark was settled at Randalinton when he was born in 1784 to Henry Clark and Mary Graham. He married Jane Clark in 1804 at Kirk Andrews Upon Esk. They had 11 children. Today Randalinton is a large farm with a house, outbuildings and small cottage by the road, very likely the former site of Great and Little Randalinton. Below, a picture of the church where Sarah and Jane were baptized. King Arthur is said to be buried there. And a description of the Graham land grant by King James I in which both Sarah’s and her parents birthplaces are mentioned. From “ A History of Cumberland” by Richard Saul Ferguson. “In 1604 James I, sold to George the earl of Cumberland, the lands of the barony, namely, Nichol forest, the manors of Arthuret, Lidelll and Randalinton, The Fishery of Esk, and the Debateable Ground—about 5400 acres. 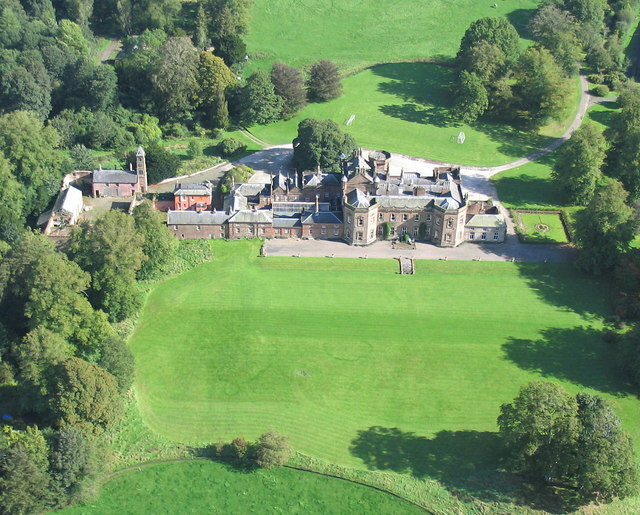 The next earl, Francis sold this vast estate to Richard Graham, son of Fergus Graham of the Plump. From this Richard, descend the Grahams of Esk and of Netherby in Cumberland and of Norton Conyers in Yorkshire. Richard Graham was in the service of the Duke of Buckingham and rose through the Duke’s interest to high favor with James I and Prince Charles whom he accompanied on his journey into Spain………………. Like the Dacres, the Grahams are we think (natives) of the county, at any rate, of the borders….. Sir J.R.G. Graham will ever hold a place of elevation among modern Cumberland worthies. To his sagacity and energy are due the improvements which have brought this once wild district to a high rank among landed estates. This entry was posted in Sarah Clark, The Family of Sarah Jane Clark and tagged Sarah Clark by Shamwest. Bookmark the permalink.